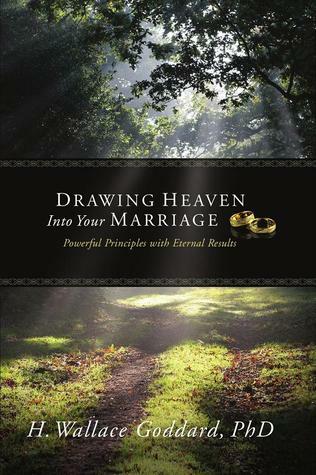 The following is part 6 of a series from the book, Drawing Heaven into Your Marriage. To see the previous sections, click here. Sacrifice is a heaven-anointed principle. Brigham Young challenged us to think differently about the sacrifices that God requires. In striking the marriage bargain, we are (unknowingly) giving up the egocentrisms of childhood in favor of the charity of Godhood. We make a covenantal step toward unselfishness. As we progress in marriage we gain ennobled character as well as eternal companionship. Heaven draws us toward godliness. Our sacrifices are the paltry down payments on our Heavenly Homes. Making such payments requires faith in the Lord Jesus Christ since the rewards are beyond our view. Faith is precisely what God wants us to cultivate. “Wherefore, thou shalt do all that thou doest in the name of the Son, and thou shalt repent and call upon God in the name of the Son forevermore” (Moses 5:8, emphasis added). We do ALL that we do in the name of the beloved Son. We do it in the spirit of redemptiveness. We do it in imitation of His sacrifice. We show our willingness to rescue our spouse by giving up our tiny preferences in favor of our spouse’s blessing. Such a sacrifice, when graciously made, is full of grace and truth! Adam was taught by the Holy Ghost “that as thou hast fallen thou mayest be redeemed, and all mankind, even as many as will” (Moses 5:9, emphasis added). Notice the beautiful reassurance: We may be redeemed! So can EVERY person who is willing to pay the price. We pay our pennies and dimes. He provides mansions and glory. Wow! What a gracious Paymaster! Adam and Eve clearly understood the magnificence of God’s grace. Notice the majesty of their inspired testimonies. And in that day Adam blessed God and was filled, and began to prophesy concerning all the families of the earth, saying: Blessed be the name of God, for because of my transgression my eyes are opened, and in this life I shall have joy, and again in the flesh I shall see God..
And Eve, his wife, heard all these things and was glad, saying: Were it not for our transgression we never should have had seed, and never should have known good and evil, and the joy of our redemption, and the eternal life which God giveth unto all the obedient (Moses 5:10-11, emphasis added). Adam and Eve blessed the name of God. Under the inspiration of heaven they recognized His perfect wisdom that placed them in this troubled world and invited them to follow the map of obedience in order to win partnership in God’s heavenly enterprise. In a great parenting side note, the following verse points out how Adam and Eve used their inspired knowledge. “And Adam and Eve blessed the name of God, and they made all things known unto their sons and their daughters” (Moses 5:12, emphasis added). As we know, some of Adam and Eve’s children chose to follow in the path of obedience and sacrifice. However, some chose instead to listen to Satan’s voice and become fugitives and vagabonds. “And Satan came among them, saying: I am also a son of God; and he commanded them, saying: Believe it not; and they believed it not, and they loved Satan more than God. And men began from that time forth to be carnal, sensual, and devilish” (Moses 5:13). So the human story began with obedience and sacrifice. The success of our marital story hinges on our willingness to apply the same principles. Applying these principles to marriage requires inspiration. Obedience entails a willingness to keep the commandments—whether our partner does or not. Obedience means that we love God with all our hearts. Obedience also requires that we “love [our spouse] with all [our] heart, and shalt cleave unto her and none else” (D&C 42:22). Unfortunately we apply value judgments to our differences: “Your family doesn’t care about punctuality.” “Well, your family doesn’t care about people.” Each of us is inclined to believe that the way we have chosen (or been raised) is the better way. And we are tempted to pull our half-house down the road until we can find a better match. But we never match up perfectly with another mortal being. What a glorious opportunity for accommodation! God knew that marriage would provide us unending opportunities to negotiate everything from what’s okay to wear on the Sabbath to what spices are favored in meals. When our relationship is built upon a firm commitment, it can endure—even thrive—in all these negotiations. There is a real danger in talk of sacrifice of self and preferences. Godly sacrifice is quite a different thing from the world’s kind of submission—giving in and giving up. Passivity is not what God is after. In the world we often encourage people to move from passive compliance to self-respect: “Stand up for yourself!” What we often fail to recognize in the secular world is that there is a level that is still higher than self-respect; it is God-respect. Submitting to God is quite a different thing from being a doormat. 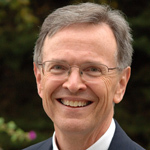 In godly submission, as in all things, Jesus is preeminent. He did not allow Himself to be mocked and crucified because He was weak and frightened. It was a triumph of His goodness that He did not use His immense power to destroy those who persecuted Him. He chose to let goodness govern His power. The Person with the greatest power chose to be most submissive. There is a lesson there for those who worry about power in the world. As we imperfect humans develop courage and strength, we don’t have to use them to prove ourselves smart or powerful. The better we get, the more we will use our strength to bless. We are “willing to submit to all things which the Lord seeth fit to inflict upon [us], even as a child doth submit to his father” (Mosiah 3:19). It takes strength of character to see errors in a partner’s grammar or perceptions and yet resist the temptation to correct needlessly. It takes godly goodness to see weakness and mistakes in our partners and yet resist the temptation to smirk. It takes heavenly humility to be proven right and yet to meekly acknowledge that we all make mistakes. It takes divine grace to discard or limit the hobbies that prevent us from helping around the house. The next installment will conclude the discussion of sacrifice and provide activities for applying the principles. [i] John A. Widstoe, Discourses of Brigham Young, Salt Lake City: Deseret Book, , 348, emphasis added. [ii] Douglas E. Brinley and D. K. Judd (Eds. ), Living in a Covenant Marriage, Salt Lake City: Deseret Book , 1. [iii] Mere Christianity New York: Macmillan , 174. [iv] Howard M. & Kathleen S. Bahr, “Families and Self-sacrifice: Alternative Models and Meanings for Family Theory,” Social Forces, [ 2001], Journal #79:1231. [v] Facing the Extreme Moral Life in the Concentration Camps, New York: Metropolitan Books, , 85-86. [vi] Francois de la Mothe Fenelon quoted in Harry Emerson Fosdick, Meaning of Prayer, 58-59. Sweet message on submission. I too am impressed with Felelon's prayer. How sweet (and true) it is. I watched African Queen yesterday and noted that when the boat was hopelessly stuck, and Bogart was delirious with fever, food and hope and energy running short - Hepburn prayed. And all she got was rain. Rain to add to the misery. Rain to increase discomfort and distress. One might be tempted to curse God and die. But the rain also raised the river level, raised the boat and floated them to the lake. God knew what they needed even if they didn't. Isn't that true for all of us? Thanks, Bro. Goddard for great and eternal lessons.